Jaydee came to us from Nuno Costa at the end of November 2009. 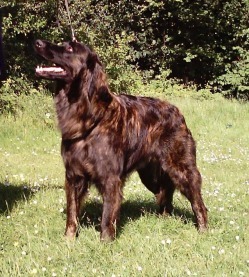 He has wonderful type, with a fantastic temperament - what more could we ask! He is adored by all those that met him. Jaydee sired 3 litters and had some beautiful babies. Unfortunately, someone saw fit to poison Jaydee at Crufts in 2011 with Warfarin. This Jaydee survived as luckily he was a big strong dog in excellent condition, however 18 months later we had to make the agonising decision to have him put to sleep. This was due to some changes in his brain due to the bleeds he suffered as a result of the poisoning. Jaydee was a joy to own, having a temperament second to none. Such a loss to the breed, we hope he is re-united with this breeder who was also lost way before his time. RIP Jaydee. Tani came to us at 4 months old, she was frightened of her own shadow! After years of working hard giving lots of love and assurance, she is now a dog that can go out and enjoy herself! Although she can still be noisy, she is quite happy to speak to anyone, Something we thought we would never see. She was limited, but now enjoys attending the odd club show to go into Veteran and has won several times! 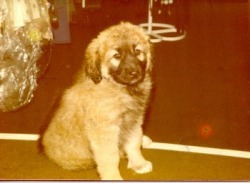 Tani had one litter and was then neutered. She had the puppies, and left the rest to her mum!! The litter of 10 was therefore hand reared, and it's a credit to Marcia that none were lost and all grew up to be happy, well rounded babies which were well grown. Even through her illness, the pups were cared for completely. Needless to say, Tani was not going to be put through that again! Tani was very happy living on the farm spending her time with her son, Quinn and her Bearded Collie friend (Lexi). She stayed very active and full of life right up to her last days. As with all of us, old age caught up with her, and the decision was made to let her go over the Rainbow Bridge. Tani is missed hugely, and will never be forgotten. RIP Tani. 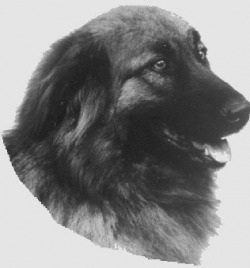 Asti was known as the 'Ambassador'. He was adored by everyone that met him, and has fans all over the world. 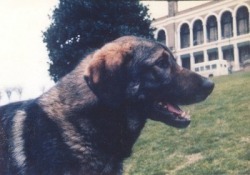 Many people now own the breed because they met Asti, some literally fell over him!! Asti enjoyed his life to the full, he loved nothing more than to go out and meet his public. He was shown on occasion gaining some good results and at one of his last shows won the Veteran Dog class, which had a good entry, under judge Luis Pinto Teixeira (Port) who is regarded as an expert on the breed from their home country. He also had a crack at obedience and agility, and gained his CGC test twice in the USA and was also the first Estrela in the USA to pass his Therapy Dog training (although was never officially certificated as we forgot to send off the paperwork!!). 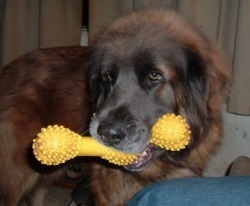 Asti was eventually taken by his splenic tumour which had grown to an incredible size. When it was diagnosed, we thought we would be lucky to have another month with him - he carried on enjoying his life right up to the end 9 months later! He was a true gentleman, accepting anything that was thrown at him. His loss has made a huge hole in Camille and Brian's lives. He may be gone, but will never be forgotten. 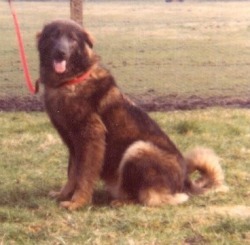 Keeno was the first Estrela to come to Sturtmoor following the break up of the kennels in the mid '80s. He was a wonderful boy who loved everyone! 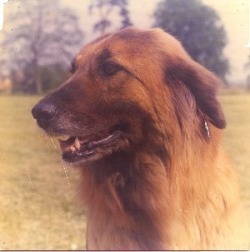 He had a good life and was a great help to re-kindling the Sturtmoor Kennel. 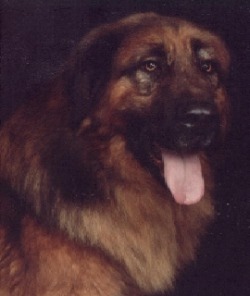 Keeno was quite successful in the show ring, and sired one litter (K Litter). He has the best hip score that we know of so far - being 0:1 in the UK and was not xrayed until he was 3 years old!